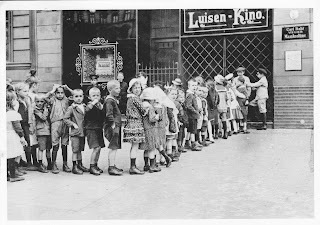 The cinema Luisen-Kino was situated on Wiener Strasse 11 in Berlin-Kreuzberg and was open from 1907 to 1921. The house is still standing, the rooms are using today for a restaurant. As written on Kinowiki the cinema had about 115 seats. The postcard is modern, still using an old photo. I'm not sure if the photo is really from 1910 as written on the postcard. 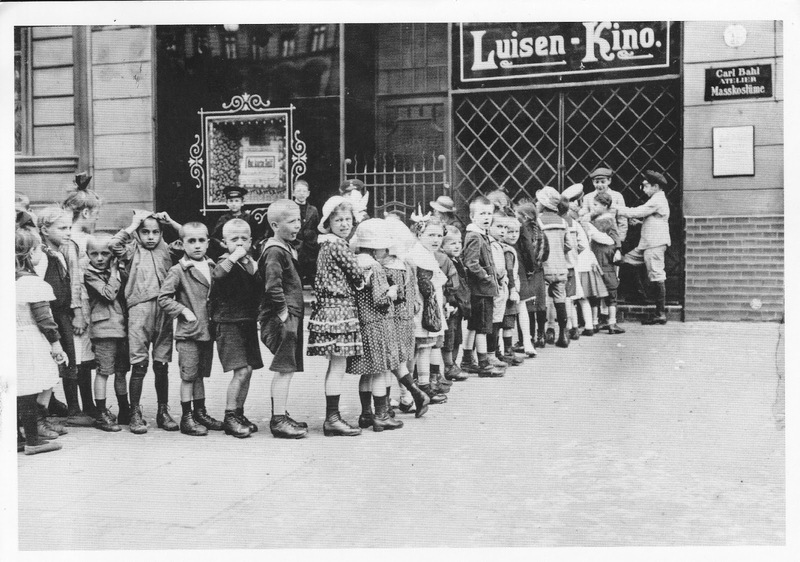 In my opinion, the word "Kino" is used later. But nevertheless it is very interesting with the crowd of children. Nearly all boys wear sailor suits, some girls a hat. It would be fascinating knowing the film they all want to see. I got this postcard via Postcrossing. Vielen Dank, Petra!